In 1996, Clowns Without Borders USA co-founder Moshe Cohen joined a Payasos Sin Fronteras project with CWB founder Tortell Poltrona (Jaume). Project partners included Circ Confetti (clowns Anna and Miguel), plus Enfants Refugiés du Monde, Vetinarios Sin Fronteras, and Medecins Sans Frontières. Other clowns included Ramon and Neil Rempel. 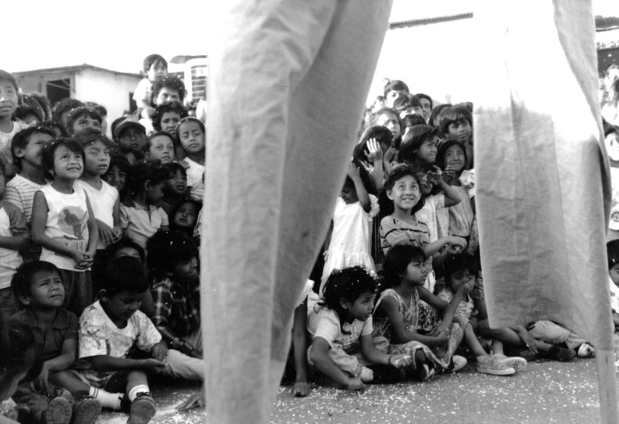 The shows and workshops were organized for people living in the slums of Guatemala City, and in the areas affected by Guatemala’s civil war. The clowns traveled to the highlands of the Ixil Triangle, and worked between there and the capital city.